Kids love to play with our tablets. They're colorful, active, and entertaining -- exactly what a kid likes (no matter what age). But many of us don't feel comfortable letting our kids handle a seemingly delicate, very expensive, piece of glass and plastic. Archos gets this, and they have announced the 7-inch ChildPad. Even better, they understand that we're reluctant to spend upwards of $500 on something that youngsters may very break, and have priced it at $129. Ill let that sink in for a second -- $129. For the cost of dinner and a movie for two, you can have a full featured tablet, running Android 4.0, complete with a child-friendly app market. While not a spec powerhouse, the ChildPad has a 1GHz CPU and a full 1GB of RAM, and comes pre-loaded with a slew of things kids would want, like puzzles, games, even Angry Birds. The ChildPad was designed to fulfill COPPA and CIPA regulations, and has a full suite of parental controls built into the browser. You'll see it on store shelves sometime in March. And your kids will have ICS on their Android device before you do. See the press release after the break. 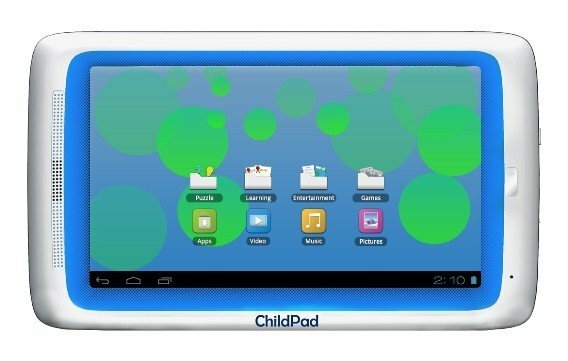 Denver, CO – March 01, 2012 – ARCHOS, an award-winning innovator in consumer electronics, announced today a themed 7” Android™ tablet for children, called the Child Pad. The 7’’ Child Pad features a compact light weight design, the latest Android version, 4.0 “Ice Cream Sandwich”, a 1GHz processor and 1GB of RAM. The Child Pad will be available at the end of March for $129 SRP.